Players in Day 1B of the @WSOP Circuit @Thunder_Valley Main Event are returning from their second 15-minute break of the day and the board shows 329 entries. 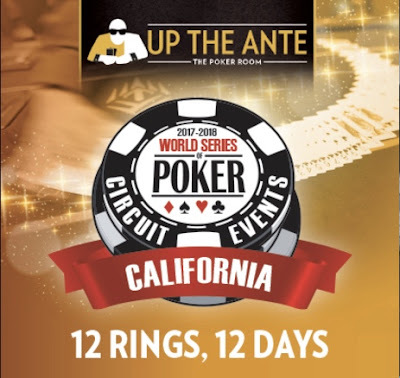 This pushes the prize pool past the $800,000 mark and is now larger than last September's circuit Main Event. Registration and a single re-entry per player is available until the start of Level 13 at 10pm. Day 1B comes to a close at the end of Level 15 at midnight.